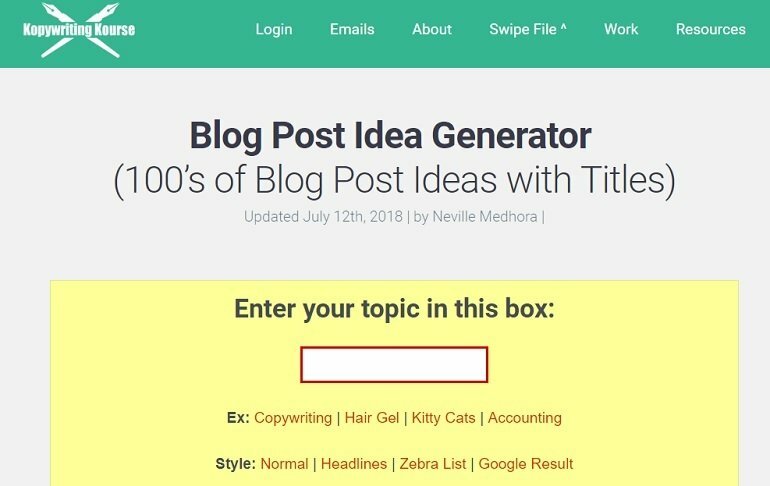 11 free blog title generation tools to write catchy and clickable headlines that will catch the readers’ eyeballs to your post. Worth a try. Do you find yourself brainstorming about what should be the title of the blog you have just written? If you ask me how do I create my blog titles then it would be surprising for you to know that I never write my blog titles first. I always do that in the end. I first spit out all the ideas about a topic that I would be writing about which is wrestling my mind. I do remember one instance when I wrote a blog and saved it as draft (of course without title) because I couldn’t figure out a sensible title and went for my lunch. At home, while taking lunch my mind was still figuring out the title in the background. I still remember how I just gulped my lunch and rushed to my MacBook to title the blog with an idea that struck me in the middle of having my food. Titles will give you that first impression to the reader’s mind whether to continue reading or just leave it. 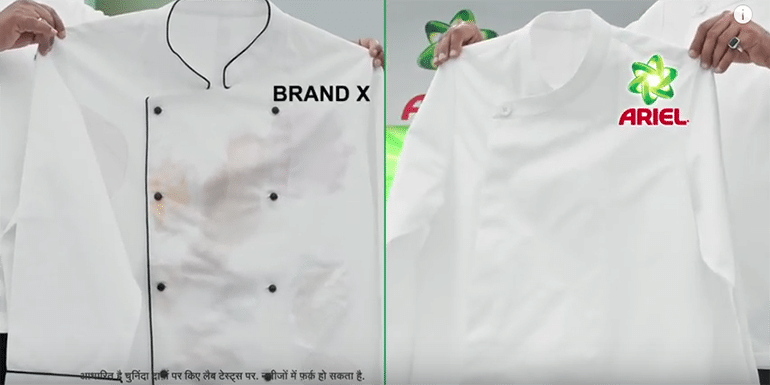 It doesn’t matter how great the content is if the title is not tempting. But that’s again normal. Where Will SEO Be 1 Year From Now? What’s Holding Back the SEO Industry? What Will SEO Be Like in 100 Years? A Look Into the Future: What Will the SEO Industry Look Like in 10 Years? What Would the World Look Like Without SEO? Is Tech Making SEO Better or Worse? 10 Wrong Answers to Common SEO Questions: Do You Know the Right Ones? So You’ve Bought SEO … Now What? What’s the Current Job Market for SEO Professionals Like? Are You Getting the Most Out of Your SEO? How to learn internet marketing in just a few hours? SEOpressor generated approx 1168 titles for freelancing out of which some samples are given below. You can try your own keywords. The 10 secrets that you shouldn’t know about freelancing. Five unbelievable facts about freelancing. Ten factors that affect freelancing’s longevity. How to get people to like freelancing. The ultimate revelation of the freelancing industry. The shocking revelation of freelancing. The worst advice we’ve heard for freelancing. 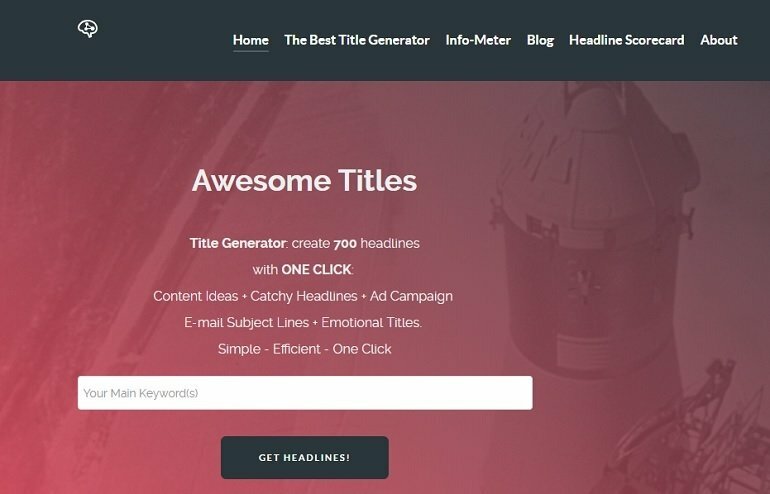 Title generator gives you 700 headlines, titles and content ideas as well. See how I made it work for me. 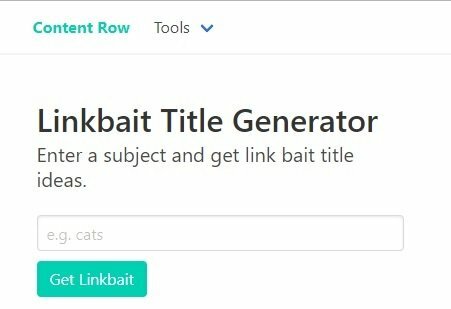 Linkbait is not up to the mark compared to others mentioned here but still, you can give it a try. I managed to create good working titles out of two important seed keywords which I love writing about. 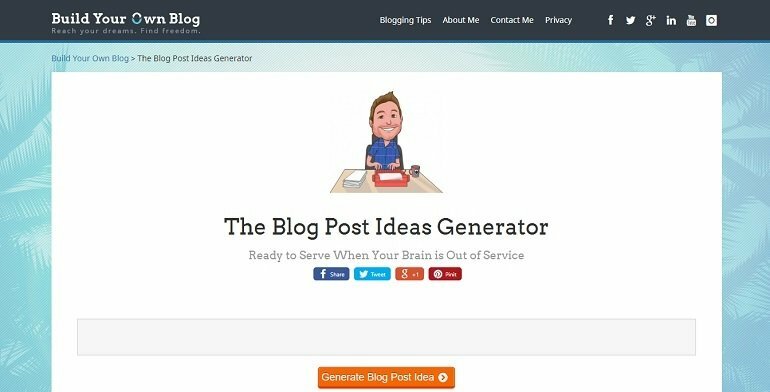 The blog post ideas generator works in a different way compared to its counterparts. Instead of generating titles using seed keywords it gives you ready to use phrases with open and closed ends. You can use any seed keywords to mix and match the phrases or sentences. Take a look at how I did this. The one in bold is my text. Why I am a huge fan of investing in the share market? What will blogging be like in 100 years? How to solve the biggest problem you had with programming? KopywritingKourse produces a variety of titles. Basically, it has a set of readymade phrases and sentences which is integrated into the seed keyword. It can be tried using different words to get some title ideas. Want to learn entrepreneurship? Look no further. 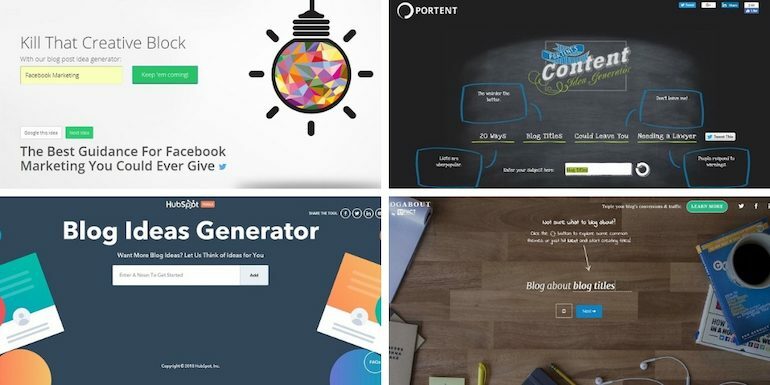 Sharethrough is not a title generator, its a headline/title analyzer tool. It tells you the strength of your title and gives you suggestions based on it. Additionally, it also calculates the engagement and impression scores of the titles. 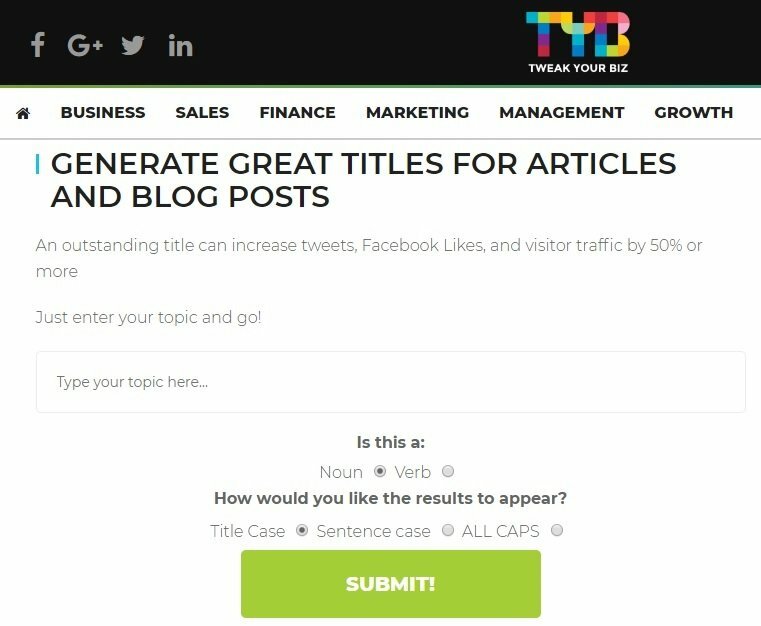 So, here’s the deal, you make titles using the free title generator tools and then check them using Sharethrough for better performance and results. Also, Checkout the book Advertising Headlines that Make You Rich.